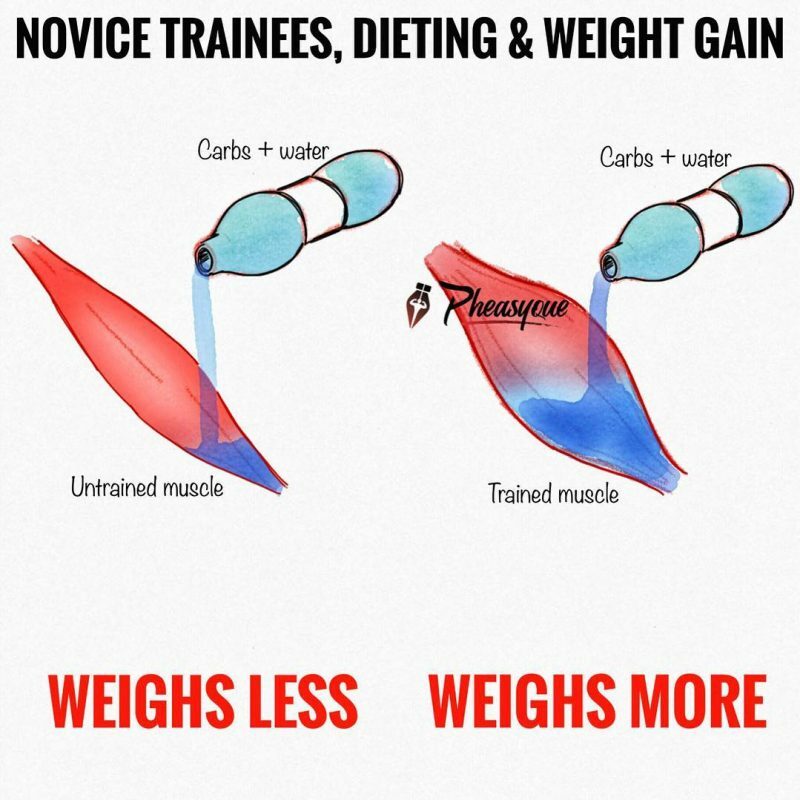 The number one mistake made by natural lifters is doing too much volume. You need to trigger protein synthesis and then stop training. Once it’s been triggered, there is no added benefit in continuing to push a muscle, it will not grow more. The more volume you use, the more you break down protein. To maximise growth, frequency is key. This not only applies to how often you train a muscle per week, but also the number of training sessions you do per week. Frequency is crucial for the natural lifter because the training session is the stimulus to trigger protein synthesis. The workout itself is what puts you in anabolic mode, whereas the enhanced bodybuilder doesn’t need to use the workout as a trigger. The enhanced lifter is in anabolic mode 24 hours a day! The more often you train, the more your body stays in an anabolic state and the more muscle you’ll build. You can’t do a high volume of work if you have a high frequency of training when you’re natural. Frequency works better than volume. Hitting a muscle three times per week is the optimal frequency for a natural trainee. Train six days a week, doing short, low volume workouts hitting half the body each time. That’s the only way to get the optimal frequency without the excessive cortisol release. The best split is the push/pull split. It’s both physically and psychologically beneficial. 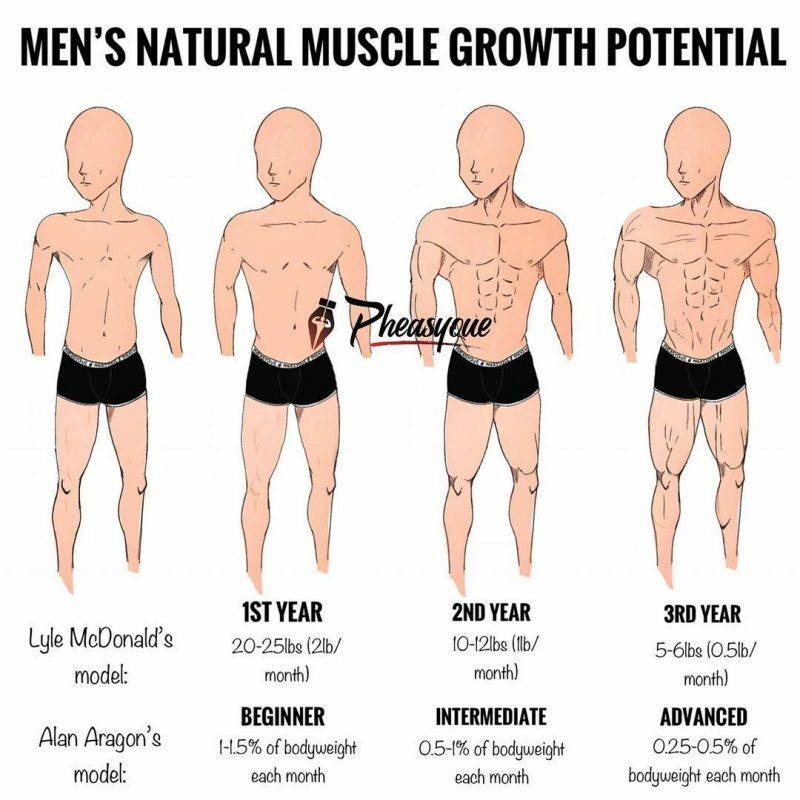 The key to growth is to have a big difference between protein synthesis (building muscle) and protein breakdown (mobilising amino acids from muscles for energy). The more volume you do, the more protein breakdown you get and you don’t want that. 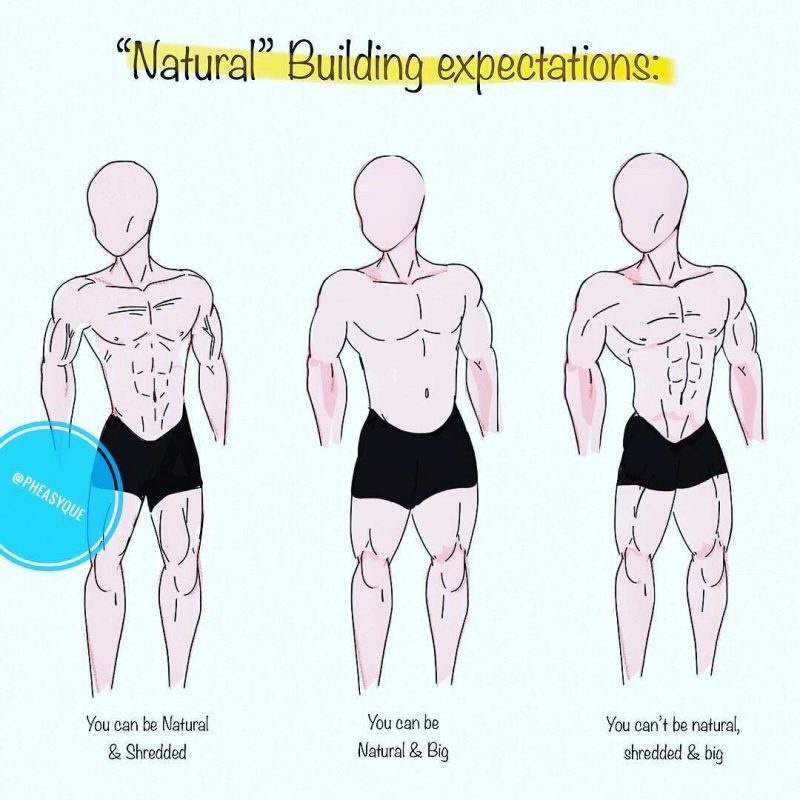 How Should Natural Lifters Train To Get Best Results? You only need one exercise per muscle group and three total sets: two sets of moderate intensity to get ready, then one intense set. 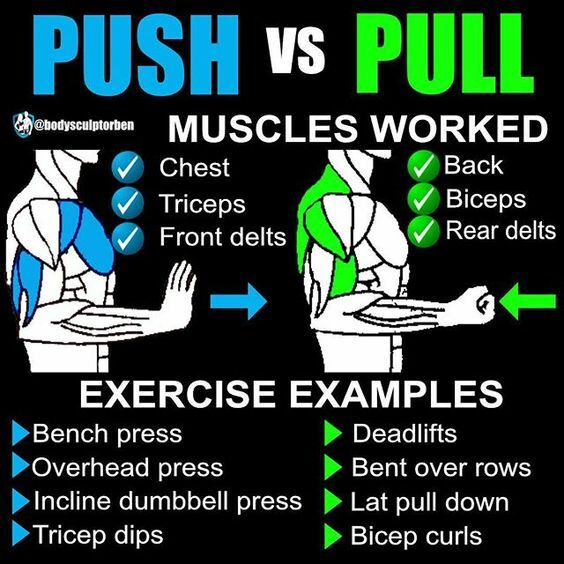 Each push or pull workout will have 4 exercises: one per muscle group (two for back since it’s made of many different muscles). Do three pull workouts and three push workouts three times per week, using different exercises for every workout. The first hamstring workout of the week will consist of Romanian deadlifts. Second will consist of lying leg curls. The third hamstring workout of the week (the isolation move) consists of glute and ham raises. Pick a comfortable weight you can do around 4-6 reps with. Do your 4-6 hard reps, rest 10-15 seconds, then another 2-3 reps, rest 10-15 seconds, then try to get an additional 1-2 reps. Always use the same weight. You only do one set of this special method. Lower the weight over a 5 second count while tensing/flexing the target muscle as hard as possible at all times. Do 6-8 reps like this, on the last rep hold the stretch position for as long as you can. Only do one set of this special method. Drop the weight down immediately by 25-40% (depending on the exercise) and do 8 reps with the new weight. Rest as little as possible between the parts of the drop set. Only perform one set of this special method. Romanian Deadlift: 2 sets of 6 and 1 heavy double rest/pause set. Pronated Lat Pulldown or Pull-Up: 2 sets of 6 and 1 heavy double rest/pause set. Bent-Over Lateral: 2 sets of 8 and 1: 6-8-10 drop set. Standing Barbell Curl: 2 sets of 6 and 1 heavy double rest/pause set. Front Squat: 2 sets of 6 and 1 heavy double rest/pause set. Bench Press: 2 sets of 6 and 1 heavy double rest/pause set. Dumbbell Lateral Raise: 2 sets of 6 and 1: 6-8-10 drop set. Lying Dumbbell Triceps Extension: 2 sets of 6 and 1 maximum mTor activation set. Lying Leg Curl: 2 sets of 6 and 1 6-8-10 drop set. Straight-Arm Pulldown or Dumbbell Pullover: 2 sets of 6 and 1 maximum mTor activation set. Pronated Chest-Supported Row: 2 sets of 8 and 1 heavy double rest/pause set. Preacher Curl: 2 sets of 6 and 1 maximum mTor activation set. Leg Extension: 2 sets of 6 and 1 6-8-10 drop set. Pec Deck or Cable Crossover: 2 sets of 6 and 1 maximum mTor activation set. Military Press or Dumbbell Shoulder Press: 2 sets of 6 and 1 heavy double rest/pause set. Close-Grip Decline Bench Press or Dip: 2 sets of 6 and 1 all-out heavy double rest/pause set. Glute Ham Raise or Reverse Hyper: 2 sets of 6 and 1 maximum mTor activation set. Supinated Lat Pulldown: 2 sets of 6 and 1 6-8-10 drop set. Neutral-Grip Cable Seated Row: 2 sets of 6 and 1 maximum mTor activation set. Dumbbell Hammer Curl: 2 sets of 6 and 1: 6-8-10 drop set. Hack Squat Machine or Leg Press: 2 sets of 6 and 1 maximum mTor activation set. Incline Bench Press or Incline Dumbbell Press: 2 sets of 6 and 1: 6-8-10 drop set. Dumbbell Front Raise on Incline Bench: 2 sets of 6 and 1 maximum mTor activation set. Rope Triceps Extension: 2 sets of 6 and 1: 6-8-10 drop set.